Few writers can enter their characters so completely or evoke their lives as viscerally as Andre Dubus III. In this deeply compelling new novel, a father, estranged for the worst of reasons, is driven to seek out the daughter he has not seen in decades. Daniel Ahearn lives a quiet, solitary existence in a seaside New England town. Forty years ago, following a shocking act of impulsive violence on his part, his daughter, Susan, was ripped from his arms by police. Now in her forties, Susan still suffers from the trauma of a night she doesn't remember, as she struggles to feel settled, to love a man and create something that lasts. Lois, her maternal grandmother who raised her, tries to find peace in her antique shop in a quaint Florida town but cannot escape her own anger, bitterness, and fear. 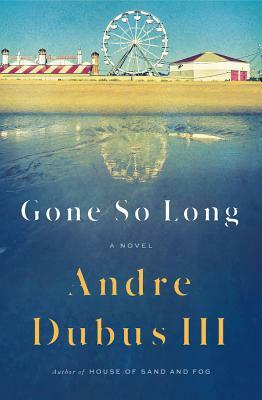 Cathartic, affirming, and steeped in the empathy and precise observations of character for which Dubus is celebrated, Gone So Long explores how the wounds of the past afflict the people we become, and probes the limits of recovery and absolution. Click here to sign up for our Weekly Newsletter! Sunday, April 28 at 3pm - Juliette Fay presents "City of Flickering Light"
Thursday, May 2 at 7pm - Erica Boyce presents "The Fifteen Wonders of Daniel Green"
Sunday, May 19 at 3pm - Jeffrey Cramer presents "Solid Seasons: The Friendship of Henry David Thoreau and Ralph Waldo Emerson"